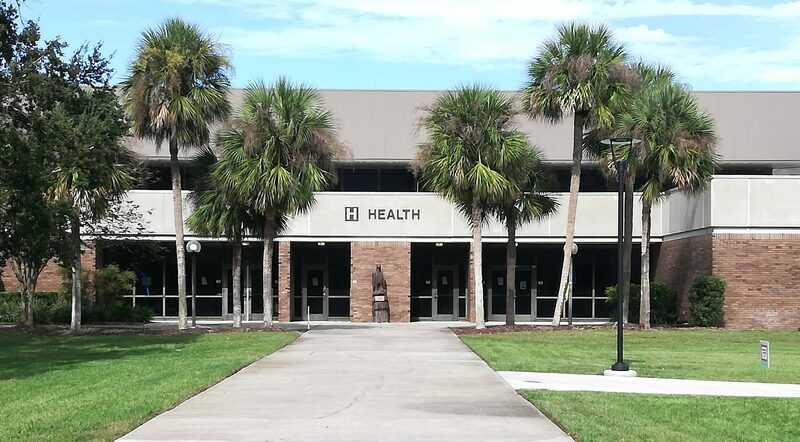 Seminole State College Athletic Director Kurt Esser recently re­vealed plans to recreate the Health building into a Recreational Center, or as Esser calls it in a tweet: The WRACK. WRACK stand for the Wellness, Recreation and Athletic Center, ac­cording to the athletics website. The Center will feature a full-size basketball court and will be 46,000 square feet, he said. With so much construction hap­pening around the Sanford/Lake Mary campus, especially with building L and the addition of the Student Center last year, Esser has helped developed a plan to bring entertainment to students looking to pass some time but also stay ac­tive. The basketball court will be an upgrade to the current, smaller out­door court. An exercise studio is planned as well as locker rooms and a weight-training room. The Health building was formerly used as offices for the Athletics De­partment, but is now closed in or­der to get started on the four-year renovation, which is estimated to cost just over $8 million. Funding for the project’s budget comes from Student Fees. Esser said the demolition for the health building begins in Decem­ber. He said he is still waiting on approval from the Board of Trust­ees to start the demolition on the “wings” of the Health building and then the office and court areas will be gutted “to the walls.” All of the electrical and plumbing will be re­done, plus the air conditioning and heating systems. Esser said he hopes to have the project completed by the Fall se­mester in 2020 as a big part of the five-year plan for athletics. This plan includes leaving enough room in the gymnasium for pos­sible general seating to develop a Seminole State College Raiders’ Basketball squad. The same plan also includes many upgrades to Seminole State’s base­ball field, known as “The Jack.” These upgrades start with the score­board, new walls along the field, a brand-new concession stand, up­graded press box behind the di­amond, and of course what we all need: new restrooms. Esser said he wants to “do every­thing that makes [SSC] look cool.” By cool, he said he is open to the idea of hosting music festivals, E-sport events, and other miscella­neous activities.